Many companies are stretching every penny they can out of their budget, times are tougher and you need a copier that works, is reliable, and gives you all of the functions you need to keep your business running! We know because we deal with these same challenges here in Albuquerque! When you work with Document Technologies, you are getting great customer service and knowledgeable technicians who will make your buying decision much easier as well as your support system for these copiers stronger. Everyone is trying to sell color copiers these days because color costs more. We understand the market reality that says that sometimes staying within your means determines you are not going to be able to always buy the copier you want, but sometimes what you need. Give us a call and we’ll give you a straight answer on costs for both color copiers as well as Black and White copiers in Albuquerque! 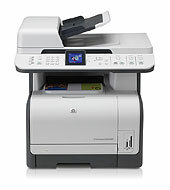 We also offer business grade color copiers.